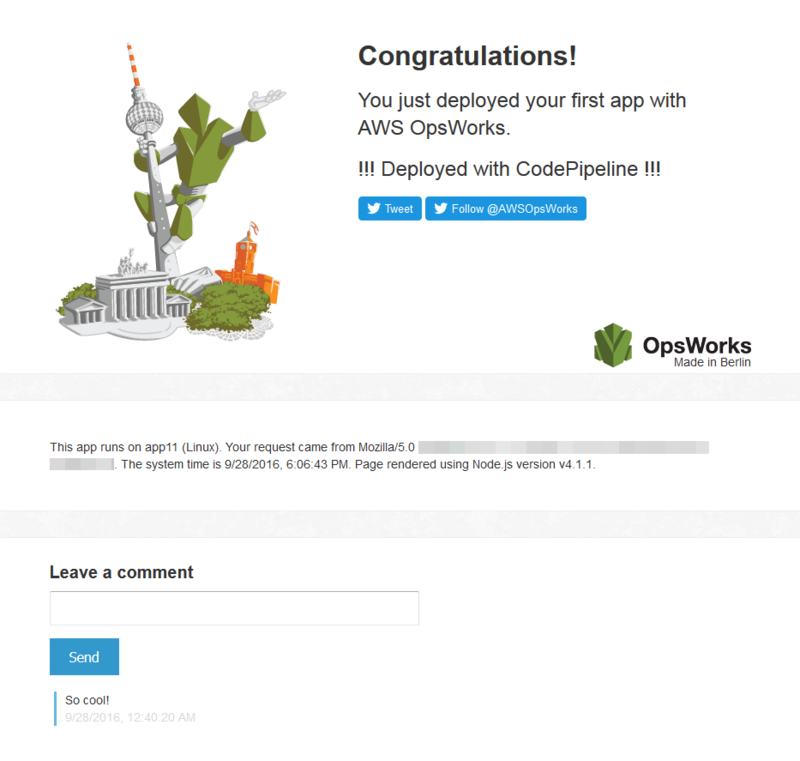 To verify that CodePipeline deployed the Node.js app to your stack, sign in to the instance you created in Step 1: Create a stack, layer, and an instance in AWS OpsWorks Stacks. You should be able to see and use the Node.js web app. On the AWS OpsWorks Stacks dashboard, choose CodePipelineDemo, and then choose Node.js App Server.